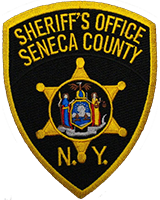 The Seneca County Sheriff’s Office reports that on April 11th 2019 at 0745am, Sheriff’s Deputies arrested 39 year old John H. Houghtaling of 9000 Wayne Center Rd. , Lyons New York following a lengthy investigation into a motor vehicle crash that occurred on February 26th 2019 at 9:39 AM. Deputies report that on Feb 26 , Houghtaling was operating a 2000 gray Chevrolet Silverado eastbound on state route 318 in the town of Tyre in a reckless manner, striking another eastbound vehicle in the rear , before leaving the scene. The other vehicle sustained heavy rear end damage and was a total loss as a result of the crash. Following the investigation, Sheriff’s Deputies charged Houghtaling with one count of Criminal mischief in the 4th degree, one count of reckless endangerment in the second degree (both Class A misdemeanor’s), Houghtaling was additionally charged with the vehicle and traffic sections of leaving the scene of a property damage crash, following too closely, speed not reasonable or prudent and reckless driving. Houghtaling was arraigned at the Seneca County Correctional facility CAP court where he was released on his own recognizance. He is scheduled to appear in the T-Tyre court on the 26th of April at 130pm to answer the charges. Next Next post: Drug Take Back and Child I.D. Day.